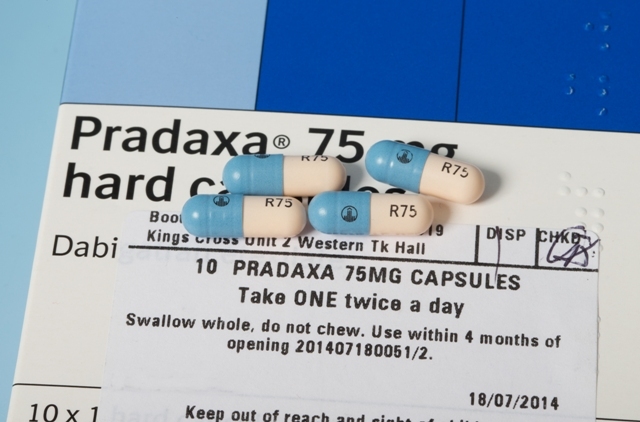 Dabigatran (marketed as Pradaxa) was licensed for stroke prevention in patients with non-valvular atrial fibrillation by the US Food and Drug Administration in 2010 and by the European Medicines Agency a year later. It is one of a new generation of oral anticoagulants that have been marketed as being more convenient than the traditional anticoagulant warfarin because patients do not need regular tests to check concentrations of drug in their blood. This unique selling point has been used prominently by Boehringer Ingelheim. Dabigatran did not require “regular blood tests to see if your blood-thinning level is in the right range,” said advertisements to US patients. After its launch dabigatran became a rapid success, reaching blockbuster status by April 2012, with over $1bn in global turnover. But by the end of 2011 concerns about fatal bleeds began to emerge. In 2011 the FDA received reports of 542 deaths and 2367 cases of haemorrhage linked to use of dabigatran. Documents obtained by The BMJ under freedom of information legislation and released as part of the litigation in the US by families of patients who took part in a key clinical trial of dabigatran show that the safety of the drug could be improved if blood concentrations were monitored and doses adjusted. Analyses conducted by Boehringer Ingelheim showed that in August 2011the company had calculated that there was an optimal plasma concentration range of the drug. In June 2012 another analysis showed that measuring blood dabigatran concentrations and changing the dose as needed could reduce major bleeds by 30-40% in comparison with well controlled warfarin. But regulatory authorities were not made aware of these findings. And emails showed that Boehringer Ingelheim employees were reluctant to release the information as it could affect sales. However, Boehringer Ingelheim maintains that blood concentrations of dabigatran do not need to be monitored. “Our scientists determined, and the FDA concurred, that the research does not support making dosage decisions based on plasma concentrations—a conclusion based solely on science and patient welfare,” a spokesperson told The BMJ. Cohen D. Dabigatran: how the drug company withheld crucial analyses. BMJ2014;349:g4670. Moore TJ, Cohen MR, Mattison DR. Dabigatran, bleeding, and the regulators. BMJ2014;349:g4517. Charlton B, Redberg R. The trouble with dabigatran. BMJ2014;349:g4681.